If you are a student and want to apply to the Smith Society, click here! If you would like to apply for the Smith Research Fellowship, click here! 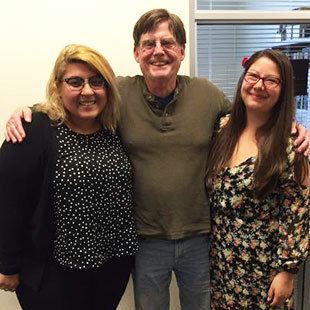 The mission of the Smith Society is to create a cross-generational community that provides academic, personal, social and financial support to UCSC students who lack the traditional family support afforded to most of their peers. Typically, these students have multiple adverse childhood experiences including, but not limited to, neglect, abuse, abandonment, or homelessness. Students may identify as being current or former foster youth, wards of the court, runaways, orphans, children of incarcerated parents, or children of parents with severe mental illness. Smith Collegiate Fellows are UCSC students who belong to a community of caring friends and mentors committed to their personal and academic success. On graduation, Collegiate Fellows continue to belong to a friendly network to provide contacts and encouragement as they head to graduate school or careers. Senior Fellows are members of the Smith community, including mentors, donors, and Smith alumni who do the work of the Society. Led by the Board of Directors made up of Smith graduates as well as current and retired faculty and staff, the Society offers financial aid, mentoring, help navigating the University’s academic and administrative systems, priority enrollment in classes, academic and emotional support, priority year-round housing, social activities, and the chance to reach out to youth in the foster care system and local homeless shelters. Based in Cowell College, the Smith Society created California’s first university-based comprehensive path to college admission for foster youths and other independent students. Most Collegiate Fellows graduate, and many go on to excel in professional careers and graduate programs. The Smith Society has an unprecendented opportunity to strengthen its commitment: a challenge match with potential to grow the Page and Eloise Smith Scholarship Endowment to more than $500,000. Leveraging $200,000 provided by four lead donors, the Page and Eloise Smith Scholarship Endowment Challenge will match, dollar for dollar, every additional endowment donation, up to a total of $200,000. Support Our Page and Eloise Smith Scholarship Endowment to provide annual scholarships. Support Our Smith Operating Fund to fund workstudy earnings and event expenditures. Support Our Cheryl Jones/Amy Hamel Endowment to support outreach activities with current foster youth and community meals. Founder of UC Santa Cruz's Smith Society talks with two alumni of the group about their experiences and moving on to his next project.